According to Bloomberg, Roger Ver, the Bitcoin Cash advocate, also known as “Bitcoin Jesus,” is finding it difficult to convert Bitcoin believers to Bitcoin Cash supporters. Although Ver believes that Bitcoin Cash will become the world’s biggest cryptocurrency, it’s not so widely used in commerce today. Bitcoin Cash’s value has declined quite quickly after its all-time high in December 2017, dropping approximately 85 percent to a market capitalization of $9.4 billion. 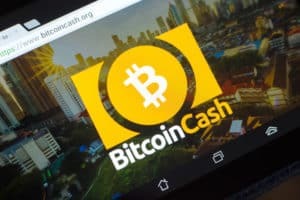 While Bitcoin Cash is known for its faster transaction speed and lower fees, in a review of the 17 largest cryptocurrency merchant processing services, blockchain analytics firm Chainalysis noted that Bitcoin Cash payments have fallen significantly. The payments have declined from $10.5 million in March to only $3.7 million in May. However, it’s not only Bitcoin Cash payments that have declined to a large degree. In September 2017, Bitcoin payments totaled $412 million. In May 2018, however, it totaled only $60 million. Bitcoin Cash’s adoption in commerce declined because of its fairly concentrated ownership. According to Chainalysis’s findings, approximately 56 percent of Bitcoin Cash tokens are in the hands of 67 wallets that are not on exchanges. Among those, two wallets contain between 10,000 and 100,000 Bitcoin Cash tokens. During the Bitcoin Cash hard fork, Ver changed his allegiance from Bitcoin to Bitcoin Cash and used his website Bitcoin.com to promote Bitcoin Cash. The Bitcoin vs Bitcoin Cash discussion is one of the most heated debates in the cryptocurrency community with advocates on either side quarreling over social media and forums to argue about the benefits of each cryptocurrency. Even a prominent member of the cryptocurrency community like Samson Mow, CSO of Blockstream, has gone to debate and argue with Roger Ver. Bitcoin Cash Payments Decline as Roger Ver Struggles to Convert True Bitcoin Believers was originally found on [blokt] – Blockchain, Bitcoin & Cryptocurrency News.